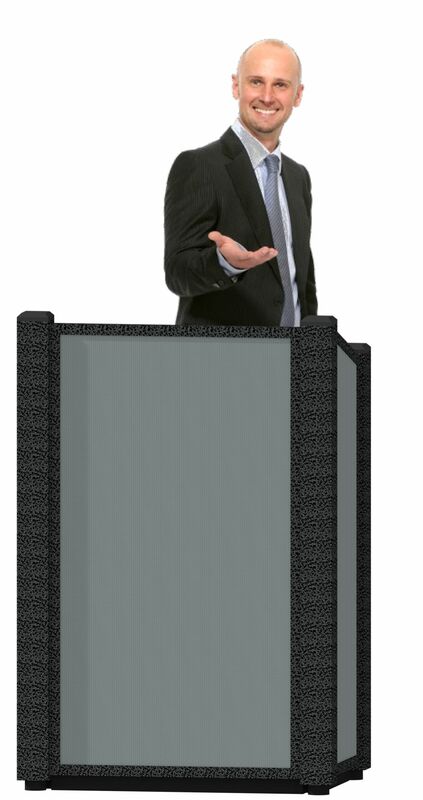 The Chameleon lectern takes our obsession with modularity into the world of podiums. 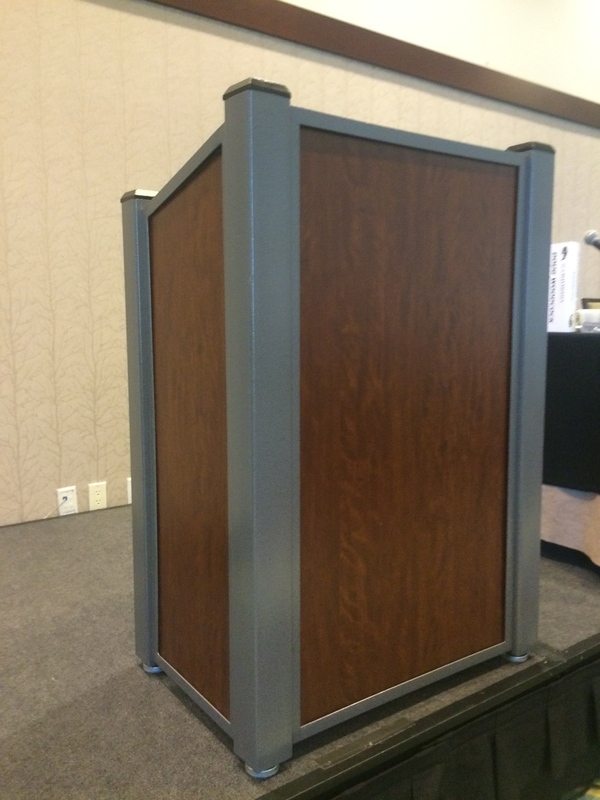 The powder-coated metal frame supports swappable side panels so the lectern can fit any stage look. Wood grain, perforated metal, brand color, even printed graphics! 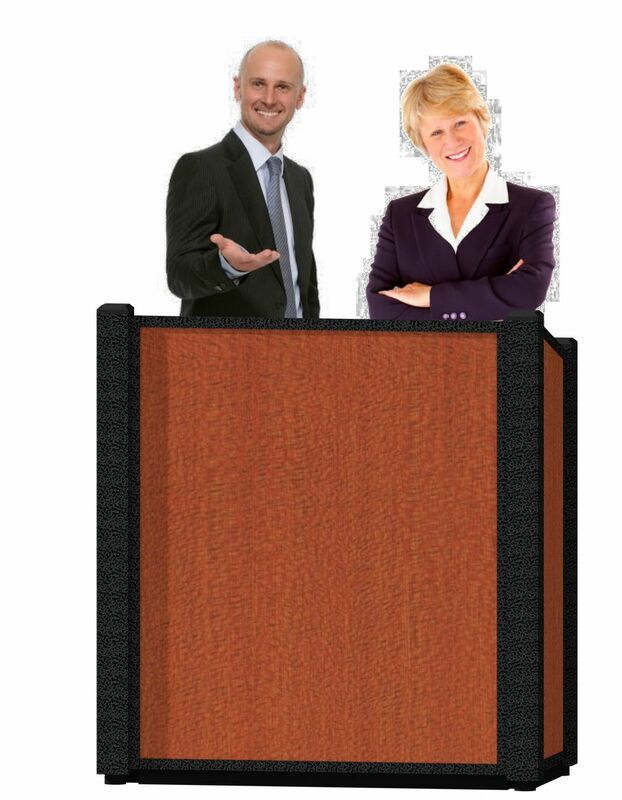 What's more, the desk surface and shelf are fully adjustable, allowing support of laptop computers, etc. We even have an extra-wide version for two people. How will you customize The Chameleon? 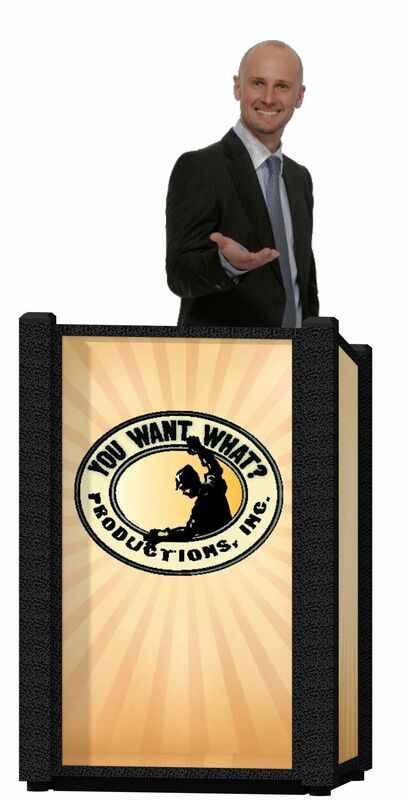 Take a look at The Chameleon, then submit an RFP or contact us today for a free rental or sales quote.